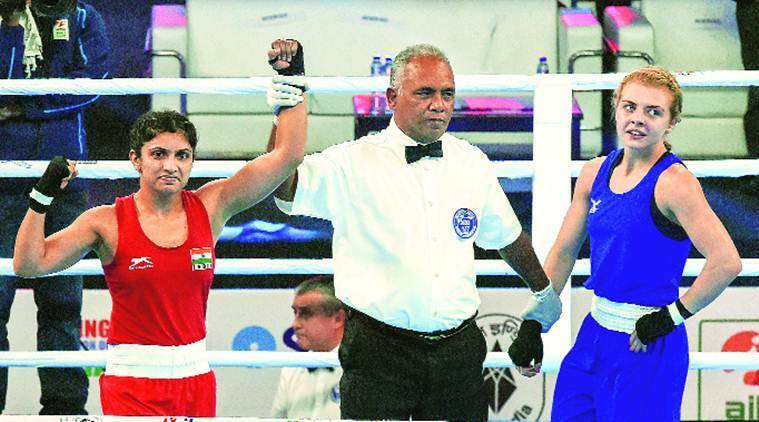 Continuing her impeccable form, the India Open gold medallist Pinki Rani put up yet another dominating performance to blank Thailand’s Phunsang Cahiranchaya 5-0 in the quarter-final bout. The 18-year-old Sakshi won in contrasting fashion as she faced some stiff resistance from Cecille Kelle of Denmark. The Indian had to dig deep to stave off the Dane’s challenge before she won by a split decision on points. Earlier in the day, the talented Anjali Tushir’s campaign came to an end following her 0-5 loss to Yvonne Baek Rasmussen of Denmark in the opening round of the 69kg category. India has sent a seven-member team to this prestigious European event following a healthy haul of six medals from the erstwhile Chemistry Cup held at Halle last year. Gaurav Solanki (52kg) and Mohammed Hussamuddin (56kg) were the only Indians to stand on the top podium in the last edition.